There should not be a letter in that position of the VIN. That link is from ebay. 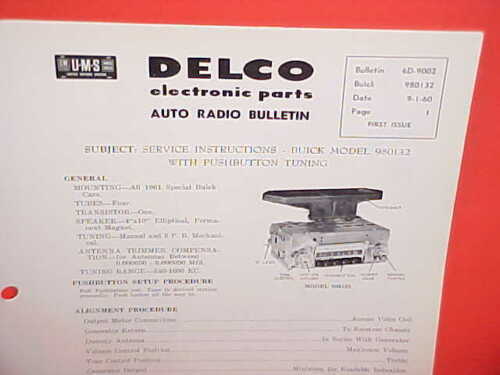 The Delco radio manuals are listed there regularly. Ames Performance sells upholstery for the Tempest, which also fits. Of course, none of those options will be correct. SMS sells the upholstery materials and can make the correct heat-sealed door panels. The radio schematics are in the Delco radio manuals for the appropriate year. The cheezy adapter plate should be your first clue that the Qjet is not factory. The fact that the Qjet didn’t exist until the 1966 model year (for Oldsmobile) should be your second clue. Doesn’t anyone read the factory service manual? Here’s my home-made linkage for the E-brock. Keep in mind that the NHRA numbers are the minimum blueprint spec, not the as-cast numbers. I’m not sure about the 215 heads, but later iron Olds V8 heads tend to run 2-4 cc larger chambers than the NHRA blueprint numbers in the as-cast state. Obviously this also depends on how much the head has been surfaced, how much the valves have been cut, etc. You do realize that if you replace the turbo motor, it is no longer a Jetfire, right? 3FM320825 is the VIN derivative. The stock tire size on 62 Jetfires and convertibles was 7.00 x 13, which was 25.8″ diameter. The fact that some vendor (who is not Oldsmobile) claims that 180/85-13 is the replacement tire doesn’t mean that it’s correct or even the same size as original. 205/55-16s are a Honda-sized 24.8″ in diameter. I can tell you from first-hand information that 205/70-14 on 6″ wheels fit. I can also tell you first-hand that 215/60-15s on stock 15″ wheels fit. Both of those combos are about 25.25″ in diameter. Your 205/75-15s are about 27.1″ in diameter. Those would be a good choice for a 1968-72 Cutlass, but are waaaay too tall for the 61-63 cars.